I have spent a lot of time writing blogs and posts over the last few years. I have never been the type of person to shy away from the truth, as an avid history student, finding the truth and understanding historical, racial or religious context and social and ethical intricacies are par for the course. I have found it fascinating that, in my Aikido research and study spanning decades the level of ignorance or aversion to what actually happened, and what the founder actually did(very important in the context of budo study) and what he said(almost of equal importance) has brought us to a unique point in the study of the art. A tipping point if you like, where, if a change is not made, the chance that the Aikido the founder envisaged to be practiced and taught throughout the world has the potential to die out completely. In traditional Budo students are not taught in the typical western way. I would go as far as to say that teaching in this way will never produce masters of the quality that were produced in the ancient days. The formula worked for generations, the shihan was the example(the literal meaning is model, or one worthy to be copied), and the students worked hard to steal the teachings that the master was presenting. In this way the art was preserved through the worthy, not the entitled. The universe decided, not the ego. 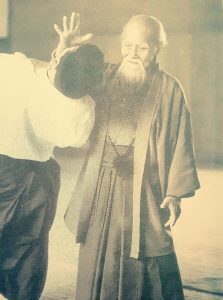 The founder of Aikido was no different, he didn’t teach in the western sense of teaching, but rather in the old way, a tradition he was trying to preserve, he didn’t need to say this, as the master he only needed to show it. The student had to intuit the teaching, usually through the art of ukemi, repeating it over and over again until the art of the lesson of ukemi had been mastered. I need to state here that the art of rolling, falling over or circus performing is not ukemi, they are just prerequisites to beginning to start to learn the art of ukemi, which is all about connection, absorption and redirection and not just about falling over. If you have read many of the interviews about the students that actually trained under the founder, they didn’t even begin to study technique until they had received ukemi over and over FOR YEARS. Yes, it really is that important. TO DO WHAT THEY DO, YOU HAVE TO DO WHAT THEY DID, THERE IS NO SHORTCUT. No, because you are from the west you don’t know better, you need to study in this way. To truly understand and teach it, you have to have also studied this way. If you haven’t, I would say your understanding is limited by your own ignorance. Rejecting ways of training that happened in the past does not confirm a higher moral ground or a spiritual elevation, it confirms only fears and prejudices. Hiding behind mantras of “that is not how we do it in my Aikido school” or “that doesn’t fit with what I think training should entail” means that you are not able to elevate yourself above your own ignorance. Do you think that any of these masters that have travelled the world teaching Aikido stood on the mat of the founder’s dojo and said, “no, I refuse to do ukemi like that” – all of them could take high fall, break fall and all of them trained the body to the point of exhaustion. 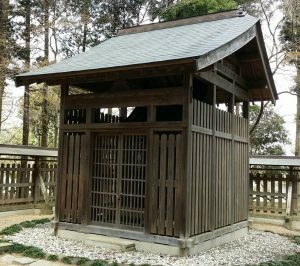 The reason was a simple one, the Japanese, who have been studying and teaching Budo for centuries understood this to be the only way for the essence of learning to seep into the bones, not just into the mind, but to penetrate the subconscious mind. Training this way changes the physical shape of the person, sinews tighten, grounding and intuition increase, awareness and perception become heightened, in short, and Aiki body is forged. I can understand that some people practice Aikido for a social practice, or for business or for health, and I find that is fine in isolation, but I believe that those teaching, that profess to some level of expertise or understanding beyond what they have read or intellectualised have to have trained in the way of the instructors that came before them have trained, to gain an understanding of the art the goes beyond what happens in the mind, to what happens to the mind when the body is forged. In this way the ego is removed, and opinion and theory based learnings destroyed. Training in Aikido is Misogi Harai, a purification of the spirit. This is achieved through Tanren, forging the body through hard training. In his youth until his adult life the founder of Aikido practiced austere training. He did cold water ablutions in the morning, even in the winter in Hokkaido. 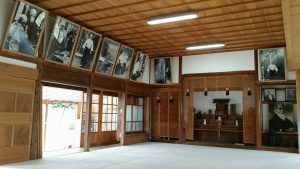 This form of Misogi or purification is difficult, and the founder realised that most people would not perform such rituals to elevate the spirit, but what he did realise was that Aikido, and in particular, the ukemi side of Aikido could replace these rituals. Since at its essence ukemi represents death and rebirth, a surrender to the inevitability of one’s own fate, then it could symbolise, just like baptism in christianity, a washing away of the negative human traits and a chance to start again renewed. This negative energy or kegare is dissolved when ukemi, performed without prejudices or preconceived desire or fear is performed. This ukemi is done through Ki extension and trust, it is total surrender of the ego, this and only this can remove the “Kegare” that defiles the heart. There has been a lot of talk recently about making the art of AIkido relevant to the modern world, but I say to you what could be more relevant than returning to a way of study that produced such great humans as O’sensei, Yamaoka Tesshu, Sukahara Bokuden and so on. I don’t see this change as an evolution of the founders art, but rather a de-volution of the aspects of spiritual understanding that is at the heart of the foundation of the art. So if training means to repeat the old ways, then why should we feel we have to change them? Because it is far easier to talk about change than it is to make change. This is not just in the world at large, but in ourselves also. It is far easier to postulate an hypothetical training philosophy, then confirm mastery of the art through others that are of the same persuasion than it is to surrender to the processes that form true and lasting transformation in the human spirit. The more people that support a theoretical understanding then the easier it is to legitimise a style of training as modern, hip and enlightened, and justify a training methodology that makes the old ways redundant. Movement towards a perceived vision of world reconciliation through words and not actions is far easier a concept to sell than changing the heart through hard work and introspection. It is exactly this vision that is the death of the Aikido that the founder perceived as being able to offer world reconciliation. If we are able to rise above this modern delusional epidemic, return to the essence of training as the founder envisaged and his senior instructors experienced then perhaps we can gain an understanding, in our bones, not our minds of what Aikidos transformative power can truly be, to know this is to not just understand the heart of the master, but to live inside the heart of the master. “AIKI IS THE HIDDEN TEACHING BEHIND THE HIDDEN TEACHING. IT IS THE LEVEL OF COMPETENCY WHERE VICTORY IS ASSURED EVEN WITHOUT A FIGHT. AIKI IS FORMLESS. OCCUPYING THE SAME SPACE OF NO COMPETITION AS THE MIND OF BUDDHA AND THE GODS, IT TRANSFORMS AND ENTERS INTO THE INCARNATION OF ALL THINGS. IT IS THE TIMELESS AND SPACELESS BORDER OF EXISTENCE THAT, LIKE THE SURFACE OF A POLISHED MIRROR, REFLECTS THE IMAGE OF THE WORLD. WHEN, THROUGH PURIFICATION OF THE HEART, ONE ATTAINS A STATE OF NO-SELF, THEN ONE HAS NO ENEMIES. RISE ABOVE – THE REVOLUTION STARTS WITH US…………….